BLACKLISTED - It has emerged that the formerly respected Lucky Red Casino has been linked to criminal operator AffPower after an acrimonious change of management. Many customers complain that they curtail bonuses, deposit options and even close accounts of winners with little or no explanation. We strongly recommend that players cease playing here. The Lucky Red Casino has recently been taken over and is now reportedly associated with the AffPower Group - one of the most rogue operations in the business, known to work with hackers and who have previously been caught running fake Net Entertainment games. We can no longer recommend Club World Casino, and it is now on our blacklist. Frequent complaints from players of deliberate payment delaying tactics, the use of obscure terms and conditions to void winnings, and when all else fails the outright refusal to pay winning players. The payment of hackers and spammers to illegally insert advertisements for their casinos into thousands of unsuspecting webmasters' websites and blogs. 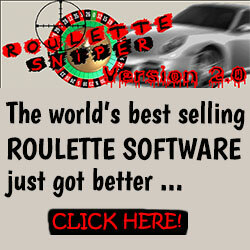 Offering fake and/or pirated Net Entertainment games that have their random number generators under the control of the casinos running the games. Shaving and/or de-tagging of players referred to their casinos by affiliate webmasters. Review last updated – March 2017 As part of the Club World group and have recently been tied to the AffPower group, one of the most rogue entities in the industry. BLACKLISTED -WE DO NOT RECOMMEND!!! The Club World group has recently been taken over and is now reportedly associated with the AffPower group – one of the most rogue operations in the business, known to work with hackers and who have previously been caught running fake Net Entertainment games. Alongside this, a significant number of affiliates have now presented evidence strongly indicating that this group has recently engaged in detagging referred players from affiliate accounts. This is equivalent to theft. We strongly advise players not to play with this group. Since the casino does accept so many international players, there are a number of different banking options that are supported. Each method that is available is trusted and can be used with confidence. The casino processes all deposits and withdrawals using encryption software, adding another layer of protection to players. There are also multiple languages and currencies that are supported at the site. In regards to casino payments, players should note that Lucky Red does have a weekly withdrawal limit that restricts withdrawal amounts to $4000 per week. This amount does not apply to any progressive jackpot wins.